On the occasion of the first anniversary of its inauguration, the Long Museum (West Bund Branch) will host the grand opening of Xu Zhen Solo Exhibition on March 28, 2015. Xu Zhen is an iconic, leading figure within the realm of contemporary Chinese art, and moreover he is the most sought-after international contemporary artist currently. Surveying art ancient and new, the artist marshals Chinese and Western cultures and fuses the quintessence of both. Through his meticulous treatment and distinctive integration of global knowledge and information, he generates an infinite degree of creativity. Xu Zhen (born in 1977 in Shanghai, China) engages in an artistic practice that takes in numerous forms of mediums, including painting, sculpture, installation, video, photography and performance, among others. Within the 30 000-odd sqm space of the Long Museum (West Bund Branch), this exhibition will showcase over a hundred works, which include not only his earlier representative individual works from the late-1990s but also a series of new works produced after Xu Zhen’s MadeIn Company launched the “Xu Zhen” brand in 2013. Highlights include European Thousand-Hand Classical Sculpture, the new works The Soldier of Marathon Announcing Victory, A Wounded Galatian and Northern Qi Standing Buddha, Amazon and Barbarian from the Eternityseries, as well as the series MadeIn Curved Vase, Metal Languageand Corporate. The exhibition’s advertising slogan—“Witness the Creation of History”—brings to light the sense in which this exhibition echoes history and cultural innovation. At the same time, this equally signals a breakthrough and a leap forward in the artist’s career. It may appear as a matter of course that history is considered a symbol of the past, an exemplar of culture, and a cipher of tradition, and yet Xu Zhen continually breaks down this predetermined mode of thought, deploying everything from within the farrago of global culture. He inherits history and is broadly nourished by tradition; taking up a stance replete with cultural self-confidence and a high degree of cultural reflexivity, he lives for the contemporary. With his characteristic humor, Xu Zhen intervenes in all manners of subject matter concerning global culture. With a taut expressiveness, he ingeniously integrates a Western spirit with Eastern culture—a new culture which transcends traditional schemas is hereby born. The all-new creation European Thousand-Hand Classical Sculpture assembles 19 different Western classical sculptures of various forms; borrowing from the shape of the Thousand-Hand Guanyin (Bodhisattva) in Buddhist iconography, the work deals with both the sense of form and spirituality, thereby manifesting a vigorous vitality which dumbfounds the audience’s visual perception. Eternity grafts the dignified and serene Buddhist statues of the East together with elegant and exquisite Greek statues, thus cutting across vast expanses of space and time; its references to an awe-inspiring scale of art history points to the capaciousness of Eastern wisdom. Eternity—The Soldier of Marathon Announcing Victory, A Wounded Galatian joins two Western sculptural works; its absurd and yet stunning visual effect perfectly showcases the balance of force and belief. MadeIn Curved Vaseturns the necks of ancient Chinese classics of ceramics by 90 degrees and accomplishes the greatest act in ceramic history. Physique of Consciousness Museum, by incorporating social, religious, and traditional forms as elements, invents a calisthenics for the mind and spirit—a first in the world. Metal Language collects words frompolitical caricatures and spells out independent and yet vivid phrases with metal chains, thereby fully developing the tactility of thought. In the newly launched Black Light series of Under Heaven, meanwhile, a sweeping and cavernous forest of black “cream” exudes an intense air of mystery, spouting forth a fearless and dauntless force. The exhibition will furthermore present a series of Xu Zhen’s earlier representative individual works. These include the video Shouting, created in 1998, where on the crowded streets of Shanghai, Xu Zhen suddenly bursts out screaming—the fright and bewilderment in the crowd’s faces, turned backwards, were fully captured. In Rainbow, a man’s back is beaten until it burns red, and yet the hand doing the beating is abstracted; an intuitive sense of the body and of life is hence clearly seen. This work, moreover, made him the youngest Chinese artist ever to have participated in the main thematic exhibition of the Venice Biennale. The installation ShanghART Supermarket recreates a convenience store on-site: the shelves are crammed full of empty products, while the items, sold at their ordinarily marked prices, only have the external shells of their packaging. The emptiness and the lack of content hit the nail on the head—the dialectical relationship between art and commodity is challenged anew. In the globalized post-Internet contemporary, Xu Zhen has continually pioneered forms of artistic creation. As an artist, he also tackles the roles of the curator, entrepreneur, and gallerist. Amid these interchanging identities, he nevertheless ensures that the creation maintains a high degree of consistency and leads MadeIn Company to expand comprehensively in cultural fields—developing curatorial production, research and publications, from galleries to limited-edition artworks. By initiating each of these, he practices what he preaches: the core concept of “producing creativity”. The exhibition will coincide with the launch of an exhibition catalogue that brings independent product catalogues together into a box set, perfectly forging the brand-new artistic aesthetics of the MadeIn Company product catalogue. Born in 1977 in Shanghai. Lives and works in Shanghai. 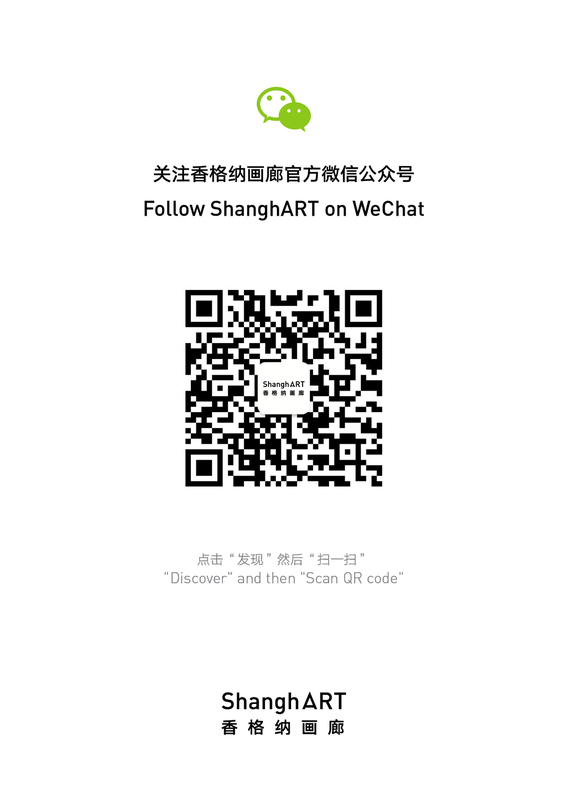 Xu Zhen is a leading figure among the young generation of Chinese artists. His extensive body of work, which includes photography, installation art and video, entails theatrical humor as well as social critique, neither entirely serious nor obviously ironic, evoking moments of complexity. His projects are informed by performance as well as conceptual art. Xu Zhen won the prize for ‘Best Artist’ at the China Contemporary Art Award in 2004. He participated to the 49th Venice Biennale in 2001, and has since exhibited his works widely. Recent exhibitions includeXu Zhen: Forbidden Castle (Montanelli Museum, Prague, Czech Republic, 2012) 12 Rooms, Ruhrtriennale(Museum Folkwang, Gelsenkirchen, 2012), Art of Change (Hayward Gallery, London, 2012), 11 Rooms (Manchester International Festival, Manchester City Galleries, 2011). Aside from being an artist, Xu Zhen is also a curator and actively organizes various art activities. He co-curated together with other artists major exhibitions in Shanghai (Art For Sale, 1999; Fan Mingzhen& Fan Mingzhu, 2002; Dial 62761232-Courier Exhibition, 2004; 38 Solo Exhibitions, 2006; The Real Thing: Contemporary from Art China, Tate Liverpool, 2007; Bourgeoisified Proletariat, 2009; My Communism - Poster Exhibition, 2011, etc.). He was one of the initiators of the contemporary art forum on internet Art-Ba-Ba (www.art-ba-ba.com) in 2006. In 2009, he established ‘MadeIn Company’, a contemporary art creation corporate, focused on the production of creativity, and devoted to the research of contemporary culture’s infinite possibilities. MadeIn Company’s selected exhibitions include: The 7th Asia Pacific Triennial of Contemporary Art (Gallery of Modern Art and Queensland Art Gallery, Brisbane, Australia, 2012); The Unseen – The 4th Guangzhou Triennial (Guangdong Museum of Art, Canton, 2012); Surplus Authors, (Witte de With, Rotterdam, 2012), The 1st Kiev Biennale (Arsenale, Kiev, 2012), Inside the White Cube (White Cube, London, U.K., 2012); Sleeping Life Away (Nathalie Obadia Gallery, Paris, France, 2012). The Long Museum is a private museum founded by the Chinese collector-couple Liu Yiqian and Wang Wei. Currently, Long Museum consists of two large museums in Pudong, Shanghai as well as on the Xuhui Riverfront—the Long Museum (Pudong Branch) and Long Museum (West Bund Brand) respectively—making for a distinctive artistic ecology of “two museums in one city”. Long Museum is presently the private museum with the greatest scale and with the greatest collecting power domestically in China, with a rich collection and comprehensive system. It takes on the mission of promoting artistic development and cultural inheritance all the while being rooted domestically; at the same time, Long Museum pays great attention to the contrasting presentation and research of ancient and contemporary art and of Eastern and Western cultures. The museum seeks to showcase the plurality of the visual arts from a global perspective and comprehensively and systematically present the magnificent accomplishments of Chinese art and the fresh vitality of contemporary world art. The exhibitions of the Long Museum are divided into three major categories: exhibitions from museum collections, exhibitions at the invitation of the museum director, as well as domestic and international projects from exchanges and cooperation. The “Xu Zhen’s Major Exhibition”, about to open, is the first project from among the exhibitions as invited by the museum director in 2015. In 2015, this series will also launch exhibitions such as “That Which Is Signified—Ding Yi Solo Exhibition”, “Liu Wei Solo Exhibition”, and “Wang Yuyang Solo Exhibition”. Free Ticket: Middle school and primary school students, soldiers and person with disability.